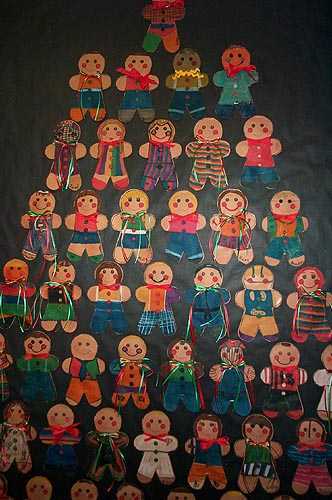 We use a pattern for these little gingerbread men. The children decorate them with markers. A small amount of cotton is placed between the two pieces before they are glued together. Last a ribbon is glued or hot glued to the front. Press "Go" to search for Gingerbread Man.